Superhero cookie time to celebrate a 2nd birthday!!! 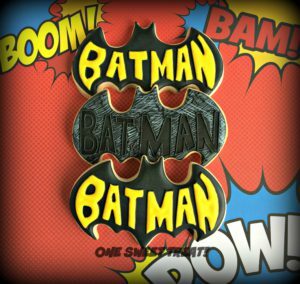 Batman is my absolute favorite superhero. 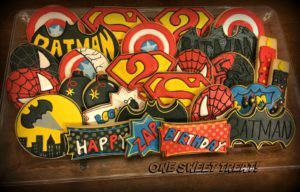 The fun birthday cookie tray. 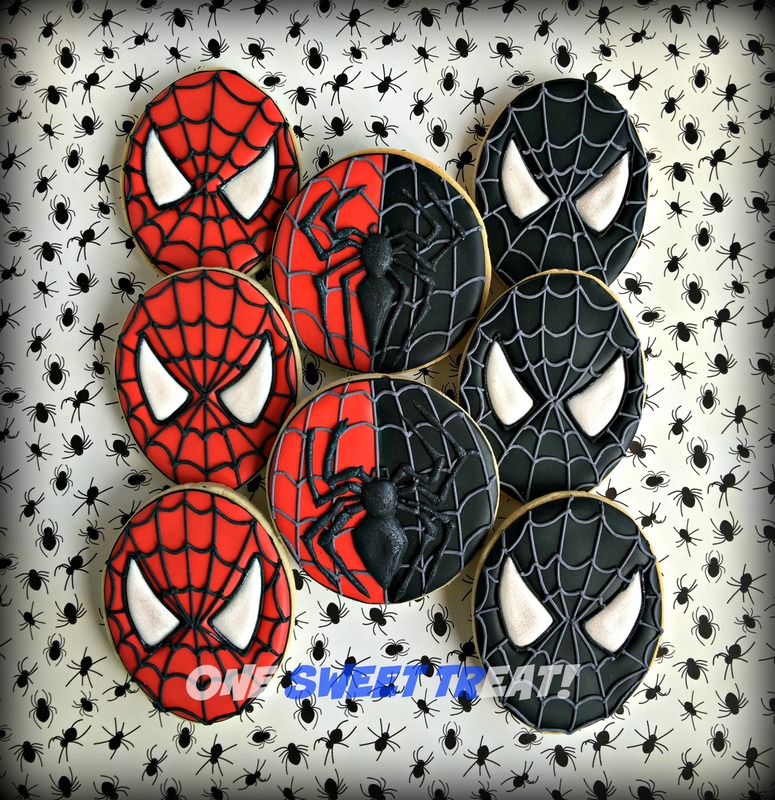 I’ll try working on text and information for this post later, but in the meantime enjoy looking at this set of cookies I made. 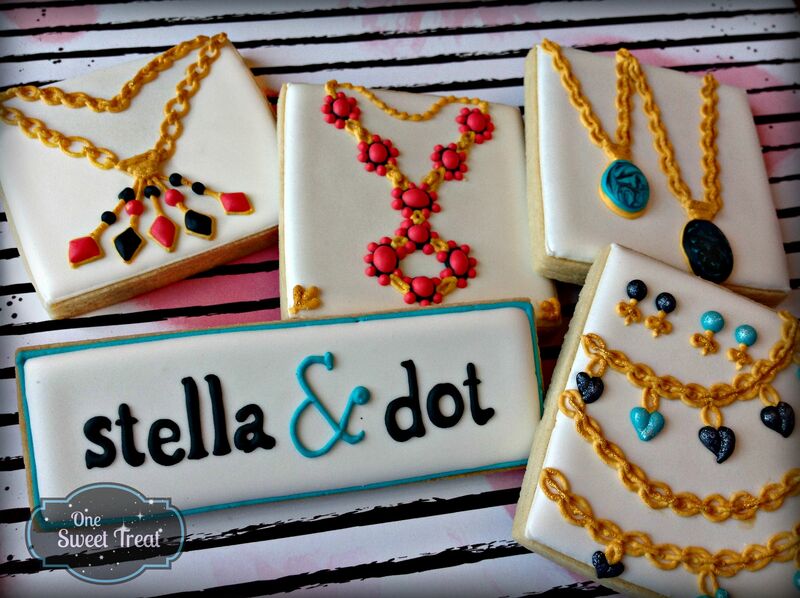 They were inspired by Stella & Dot jewelry. Stay tuned for more information. Thanks for visiting the blog! 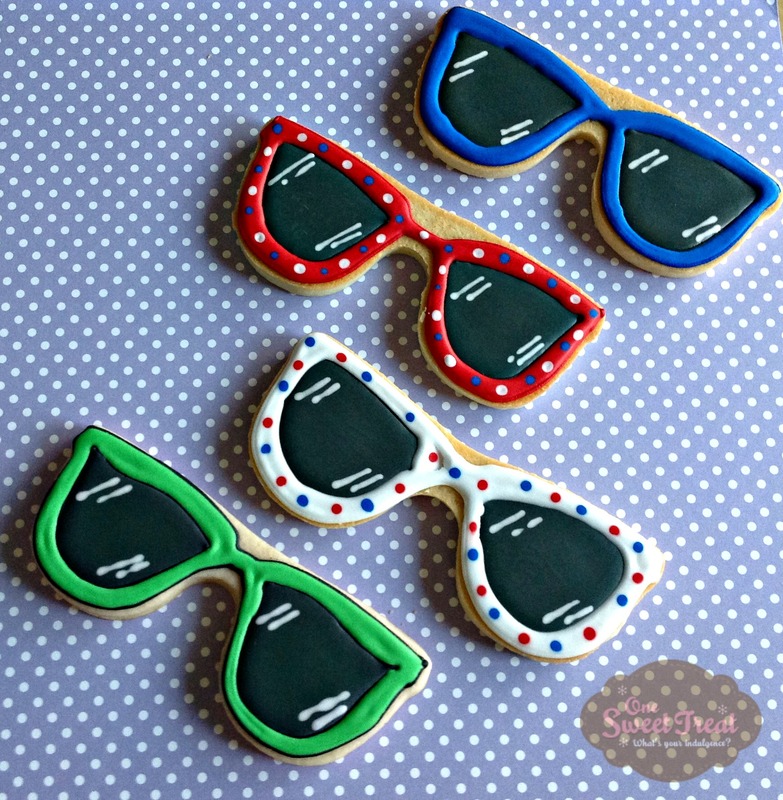 The cookies you are about to see are super fun and they were fun to make also. But you cannot get in the movie theater without a ticket. 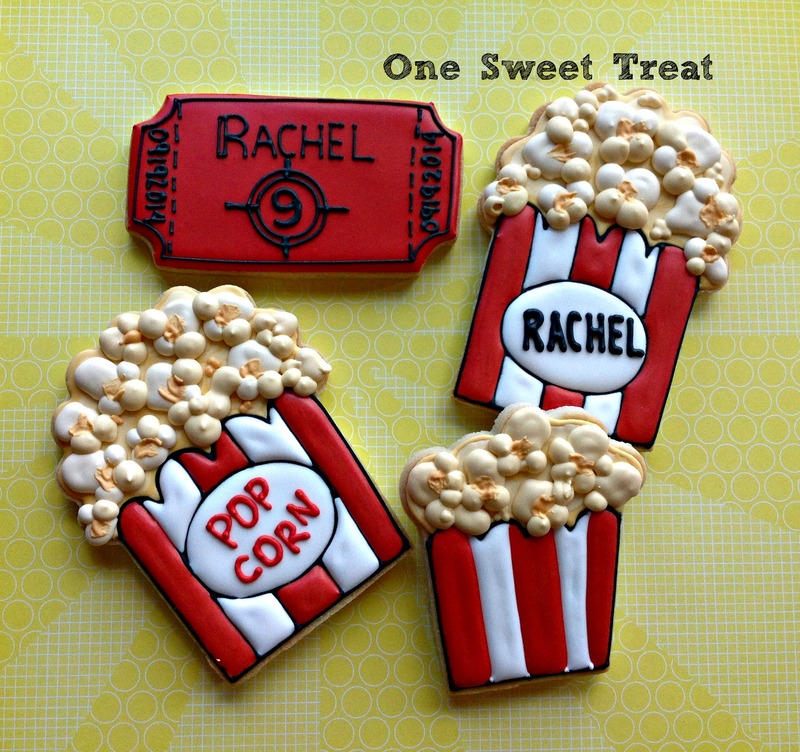 The ticket was inspired by the party invitation we received from Rachel. The ticket was the personalized cookie I made specially for her. 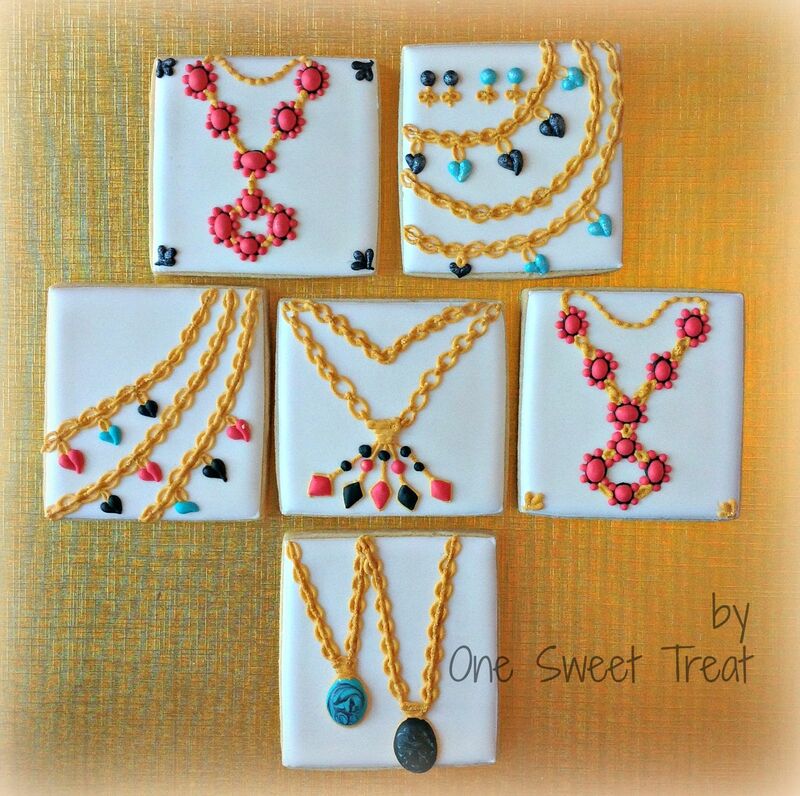 And here is the whole set of cookies. 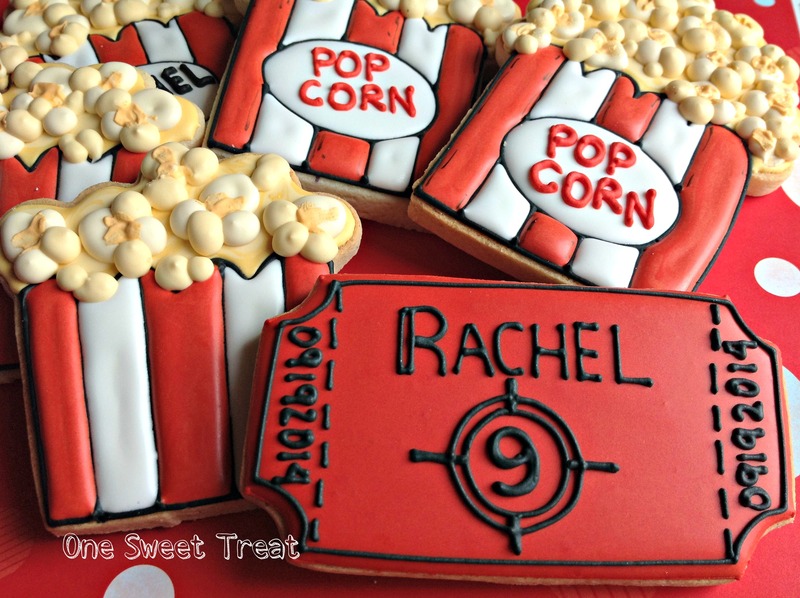 The cookies were cookie favors for girls attending Rachel’s birthday party. 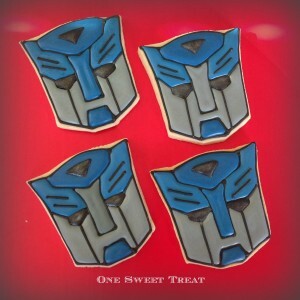 Here is a quick look of the latest Transformer cookies I made. A closeup of the cookie set. 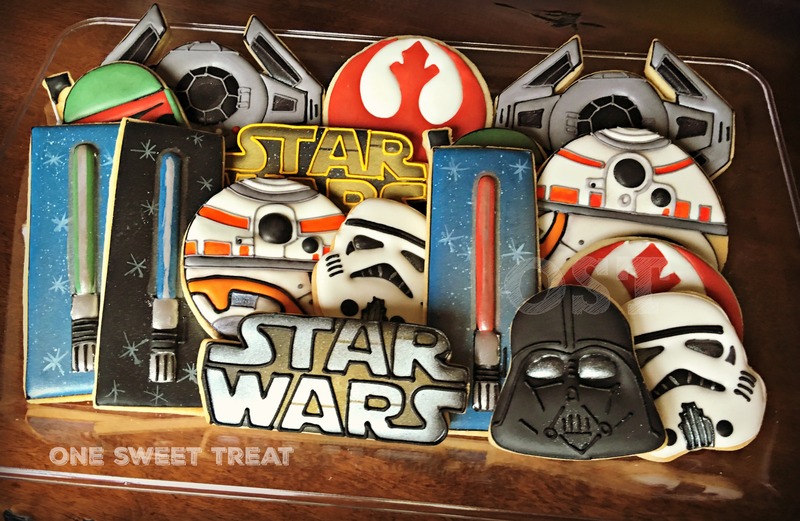 A final look of the cookies. 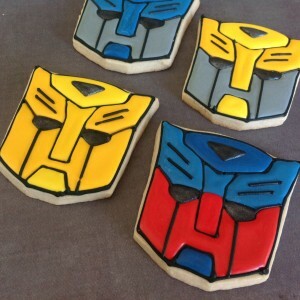 The cookie favors were designed for a birthday boy who loves Transformers. 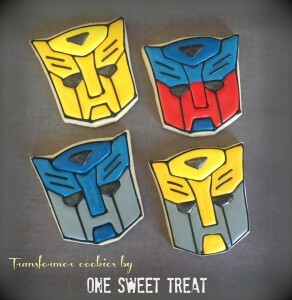 You can find more Transformer cookies here. 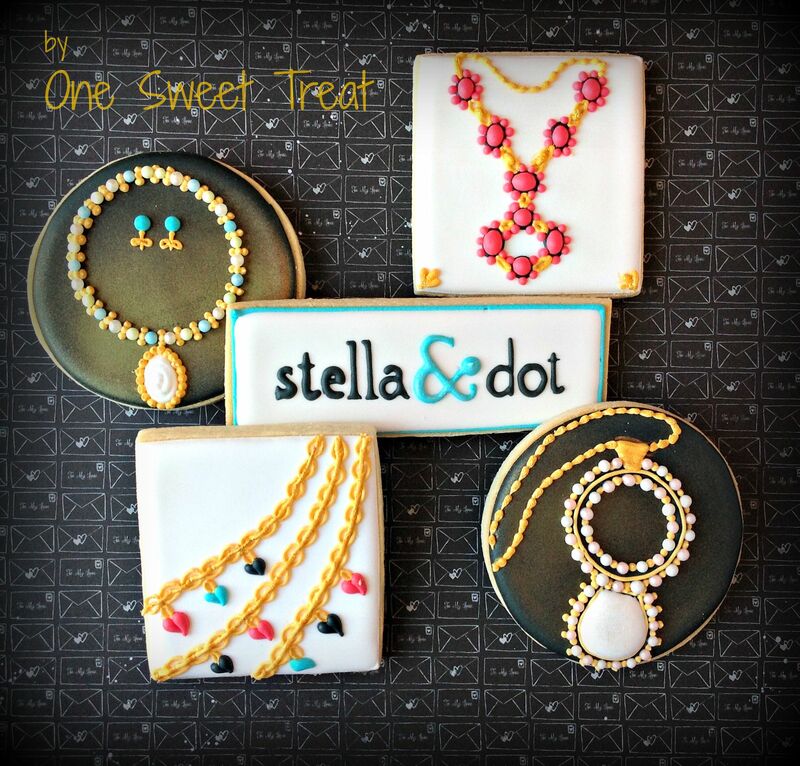 I will work on adding a few details of these cookies in the near future. 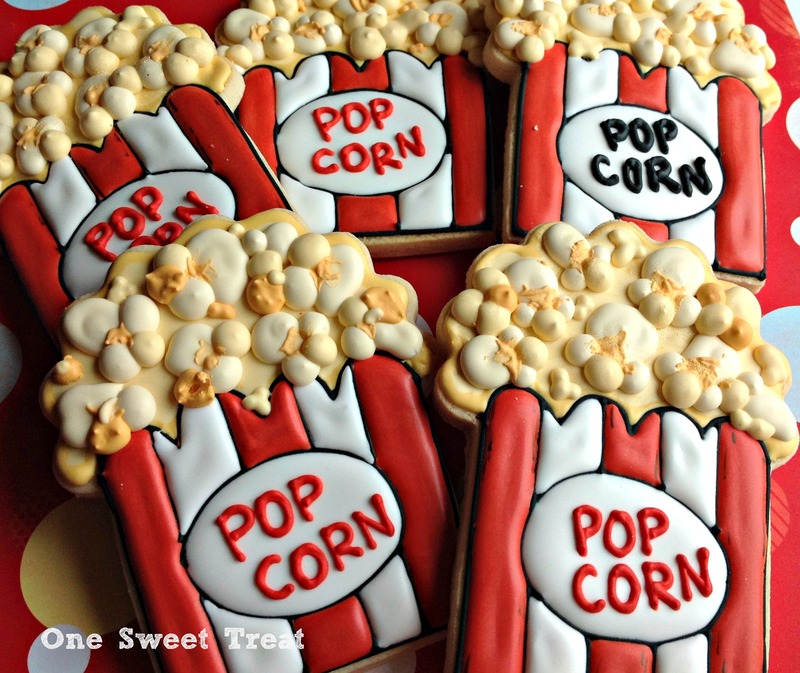 I am super excited to share with you the very special treats I made for my lovely daughter Lillie as she celebrated her 7th birthday this year. 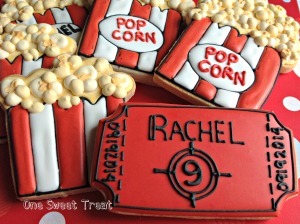 I don’t really struggle much when it comes to the color scheme that I plan to use for her birthday treats. 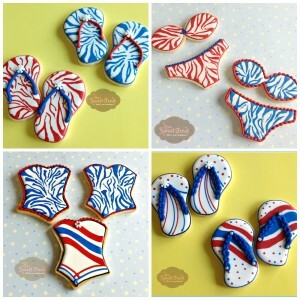 As a 4th of July baby, I always know that I MUST incorporate Red, White & Blue. I do freak about making something that will be much better than the previous year. Now that she is a little bit older and realized what I can do, the challenge can be making a cake that she ‘approves’ and ‘loves’ (if I’m lucky). 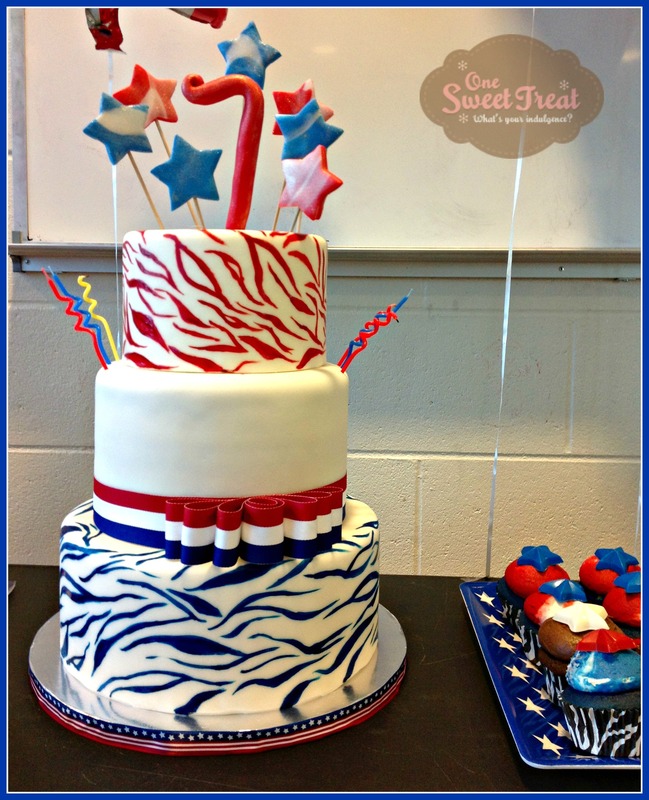 This year was a tricky one since I asked her ideas of what she wanted the theme to be or a main design of the cake. Well… bad questions. She wanted everything and it all sounded so complicated !!!! 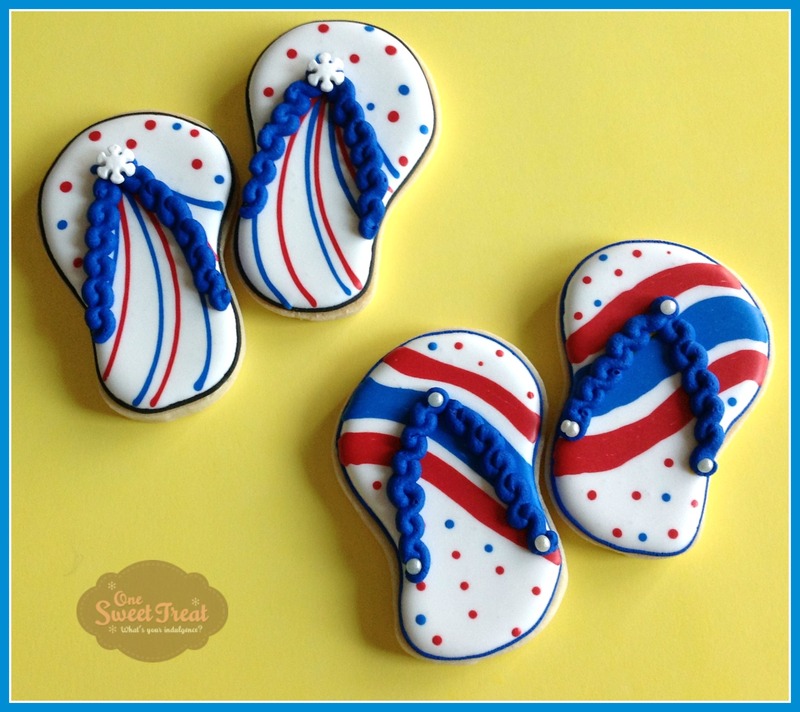 My dear Lillie asked for a beach cake (and she’s never been to the one) and wanted me to incorporate summer items. 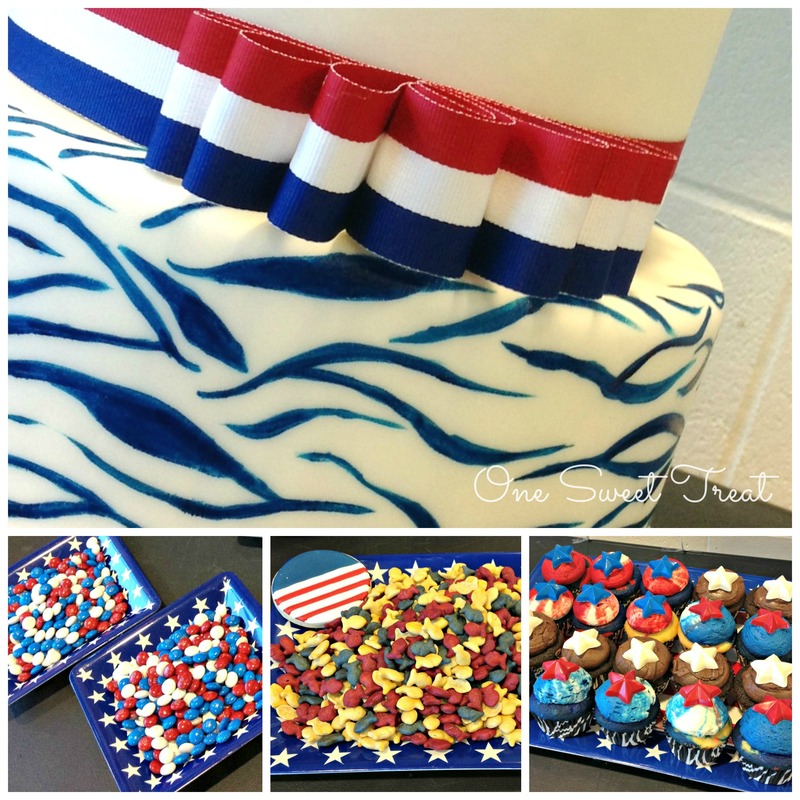 At the same time, she mentioned how much she loved the zebra pattern and reminded me that it it would be Independence day. Oh boy…. 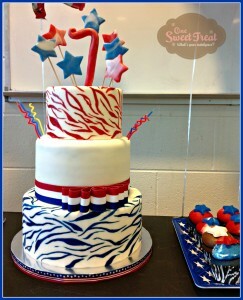 After many sleepless nights thinking about how to incorporate ALL those ideas into ONE cake, here’s the end result. 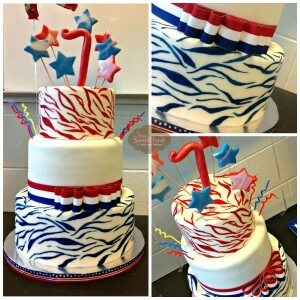 ZEBRA: You typically see thick zebra lines/pattern on cakes added using fondant and ‘glued’ on the cakes. I decided to try a different technique and painted the top and bottom layers of the cakes. 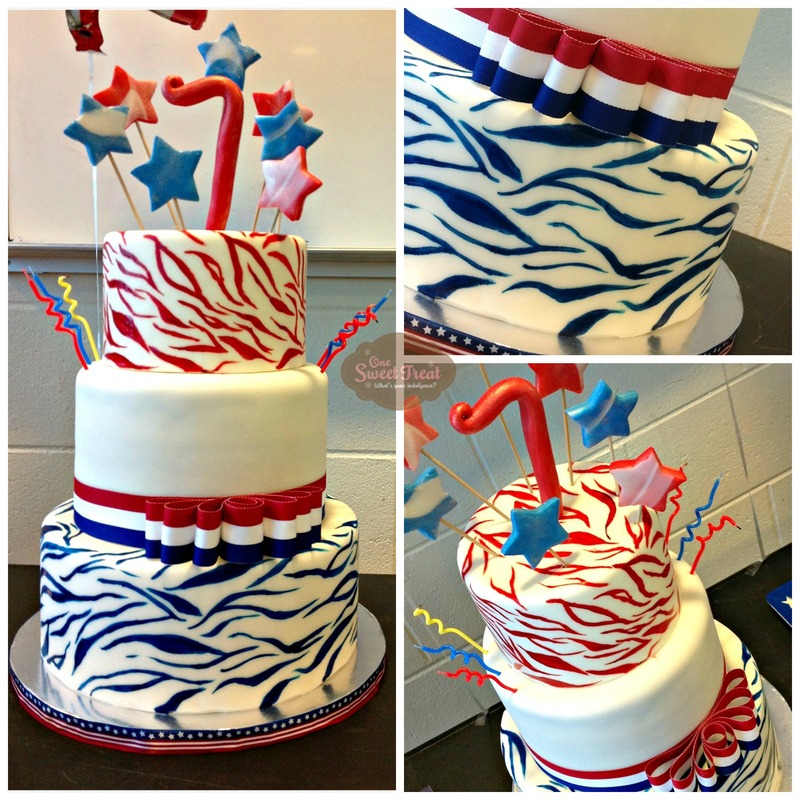 I painted the zebra lines on the cake horizontally and diagonally as opposed to many cakes out there where you see them vertically instead. They are also more on the thin side. Lillie absolutely loves Chocolate cake so there was no other choice. The additional cupcakes were vanilla and a few chocolate. I wish I could have taken a picture of a cut cupcake because the vanilla batter was actually red, white and blue to create multicolor cupcakes! A chocolate star was added as the topper. BOW: I made the bow at the very last minute with fabric ribbon that I found at Michaels. 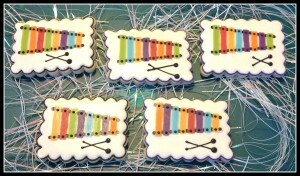 I have always loved this type of bow so I wanted to incorporate it into the cake. 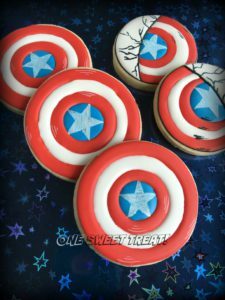 OTHER FOOD: With her birthday falling on such a special day for all of us, I am always very fortunate to find all sorts of goodies out there related to Independence Day. I found m&m’s, fish crackers, twizzlers and all the silverware and decoration. Yeah! 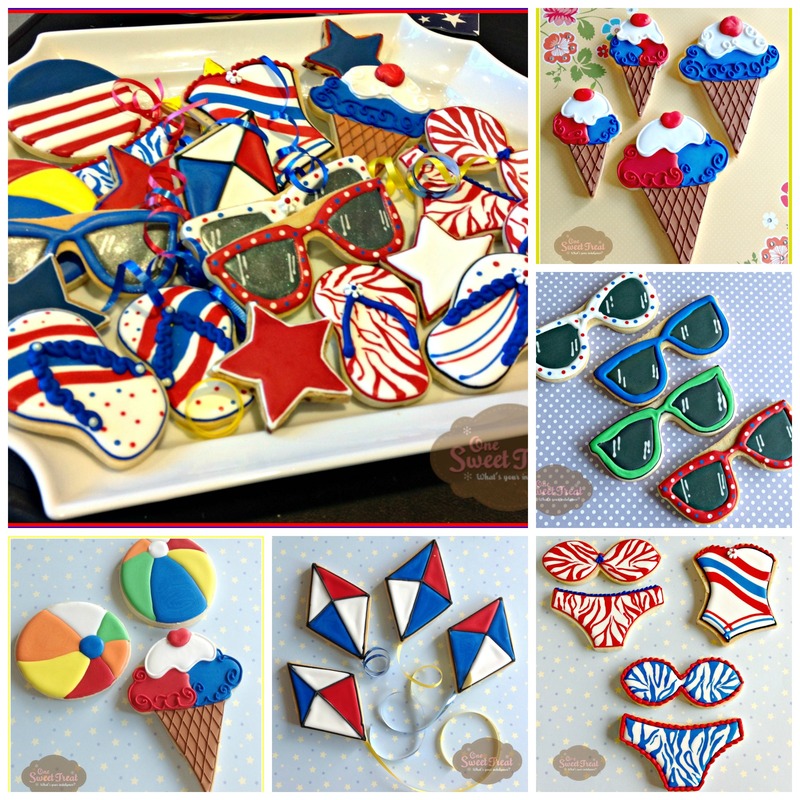 COOKIES: The cookie platter included all sorts of playful items related to the beach and hot summers not to mention that odd request of adding zebra patter to the theme. Going clockwise starting at the top right: Ice Cream Cones, Sunglasses, Swimsuits and Bikinis, playful Kites, and Beachballs. 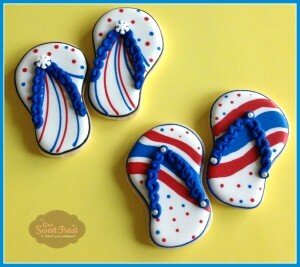 Definitely some of my favorites were the bikinis and the sandals, the sunglasses too. 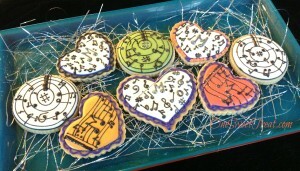 All the sugar cookies were decorated with the same theme in mind. No chocolate designs this time, it was all royal icing. 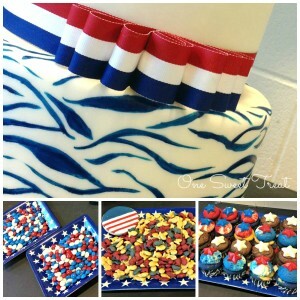 In the end, I have NO idea what the 4th of July, Zebras and The Beach have to do with each other, but I got it done. Somehow, I think it all worked out. 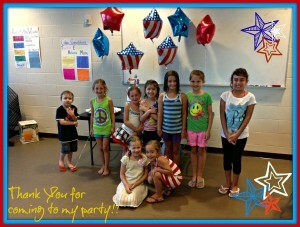 All the girls (and my boy Noah) had a lot of fun. 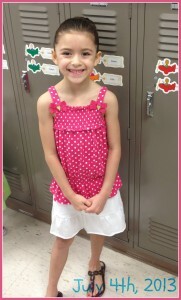 We celebrated Lillie at a nearby YMCA so the girls (and some adults) were able to get into the pool for a long time. Happy Birthday sweetheart!! I hope you had a wonderful birthday. Boy I have One Sweet musical Treat for you. 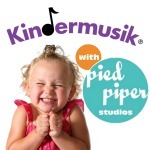 We have been very fortunate that for the past few years, my children have been attending music classes at Kindermusik – that’s why there’s a “k” in musik up there in the title, not because I don’t know how to spell 🙂 Sorry, I’m just not good at making jokes. 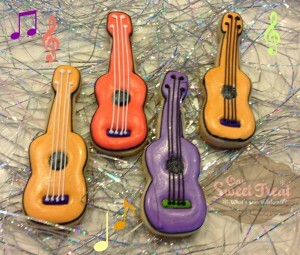 This next set of cookies was designed for their wonderful music teacher, Miss Molly. 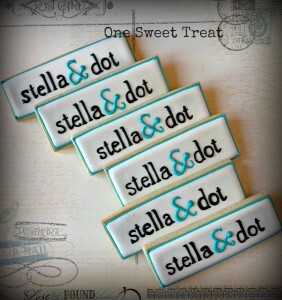 Unfortunately for us she is moving out of town and this is to thank her for all her hard work (and lots of patience). 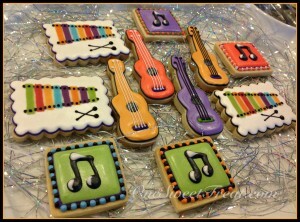 It turned out to be a very colorful cookie set because I use all the Kindermusik colors. Check out the link on the right side. 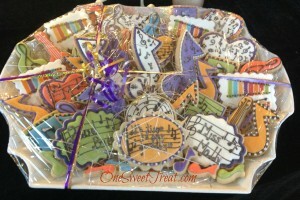 First, lots of musical notes focusing a lot on the color purple which I think it’s their main color. Next we have a Glockenspiel instrument. Honestly, I have never heard of this instrument before. 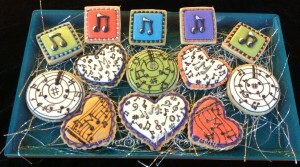 Then again, I’m not a music geek… expert. This was my daughter’s musical instrument two semesters ago. It looks a lot like a Xylophone doesn’t it? I was told that. Even thought they haven’t been exposed to a guitar in the classes, I thought it would be fun and obvious to include a guitar in the set. After all, you can always relate a guitar with music. 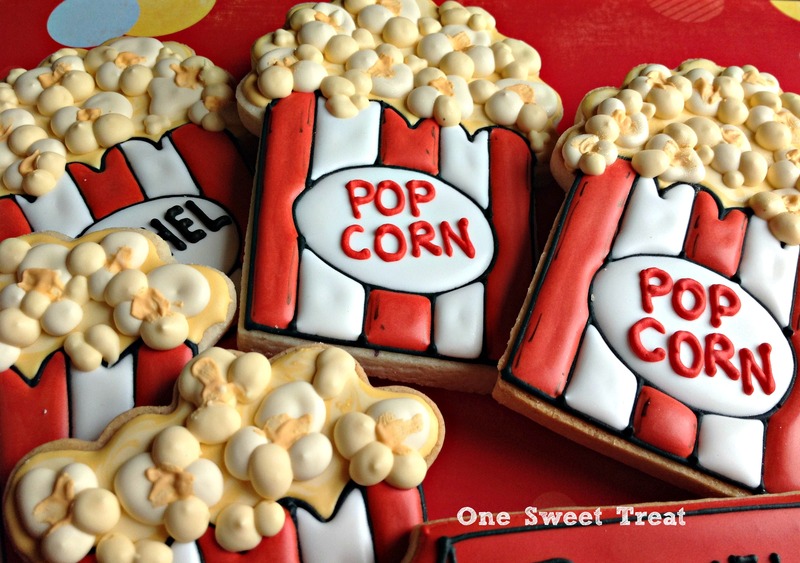 One thing I always say is that One Sweet Treat looks ugly before it looks pretty. 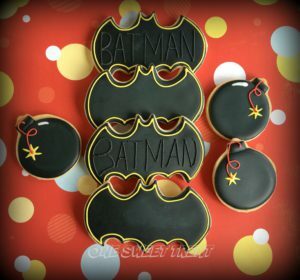 The following cookies were looking so simple and dull at the beginning. 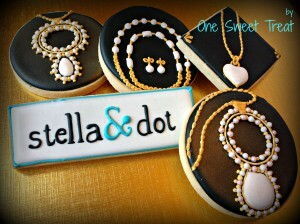 Hearts and circles covered only in royal icing…. boring. 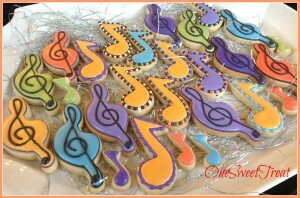 Once I added the details and all the musical notes, I was in love with them. 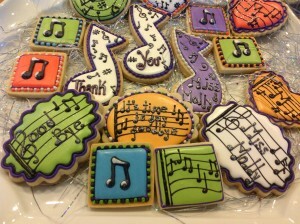 If you look closely on the cookies you’ll some special messages. My husband said that I shouldn’t be focusing too much on the fact that she was leaving, but I wasn’t. You see, at the end of each music session they always sing a Good Bye song. “Good bye, good bye it’s time to say goodbye”. That’s all I can remember. 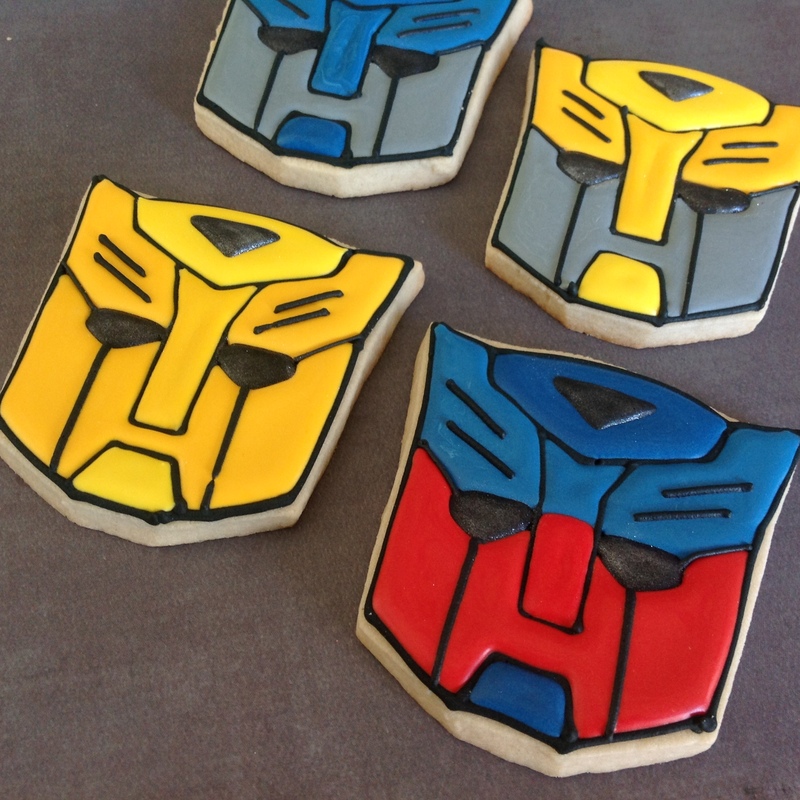 I was so pleased with this set of cookies. I really hope Miss Molly was too. 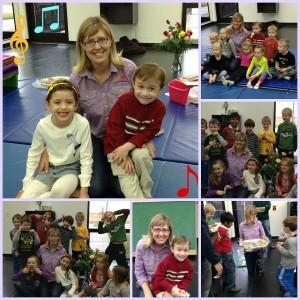 She was such a wonderful teacher and we will all miss her very much. A very special Thank You to Miss Molly for all that she did and gave to all of our children (mine and not mine) by sharing her wonderful music talent and expertise. We will all miss you very much and we wish you all the best. 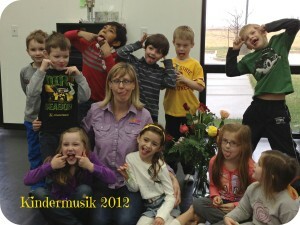 The next Kindermusik children to have you will be so lucky to have such a wonderful music instructor. Oh! 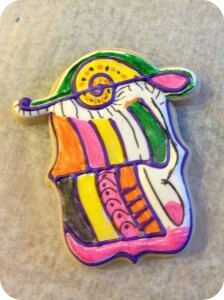 and here’s my Lillie’s special cookie for Miss Molly. Lillie is super creative. Before I leave, I have to show a closeup of this picture from the collage because it’s so funny. One year after making them and I will finally post them. 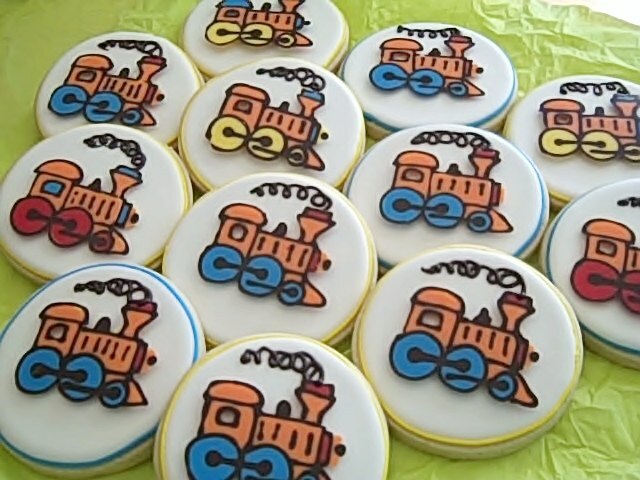 If I can remember correctly, the sweet recipient of the cookies specifically requested orange cookies with Train designs for his classmates at school. Sugar cookies with a chocolate train blowing steam. 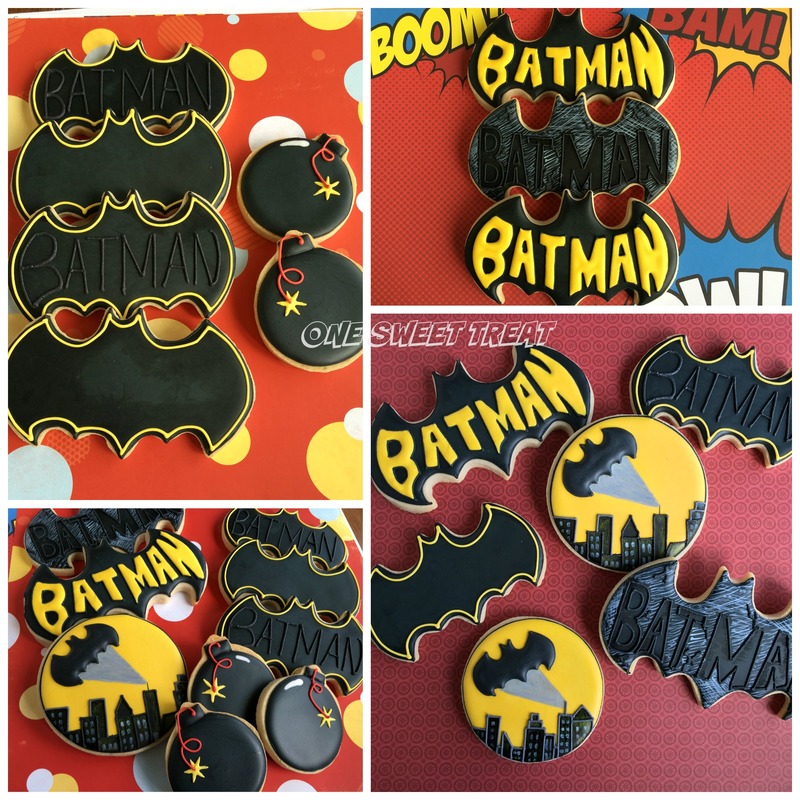 A year has past since I baked these babies and I’m still creating cakes for this little boy, but I’m not ready with that cake post yet :). I promise I won’t wait another year. 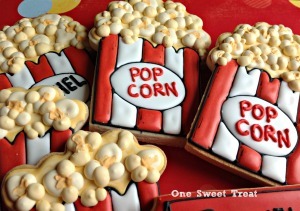 I can’t believe that I made this set of cakes and cookies a long time ago and never posted it. 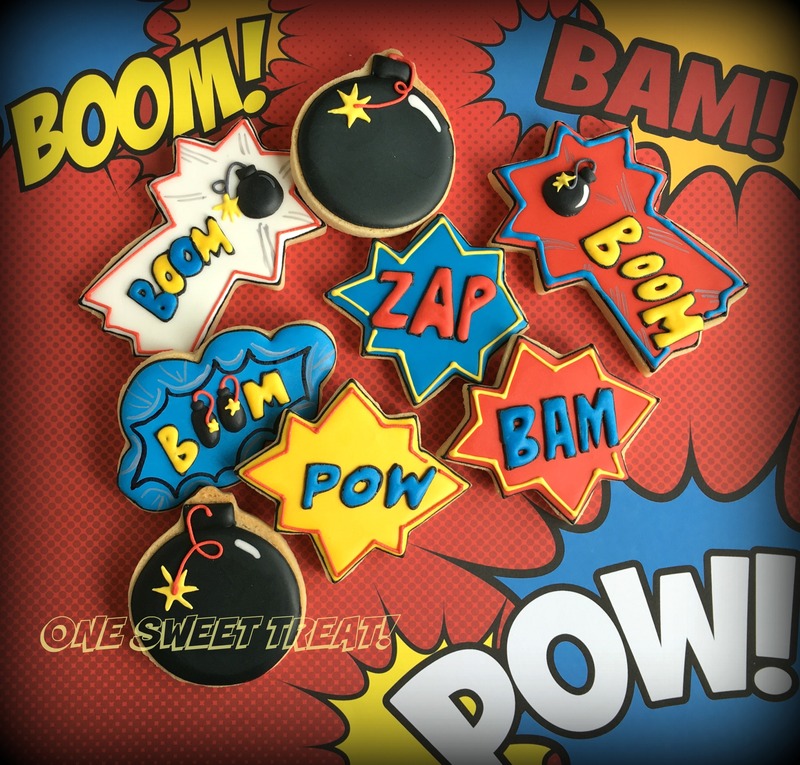 Better late than never…. 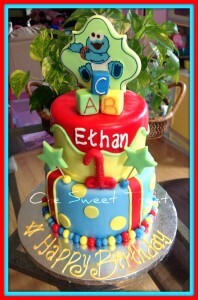 I have been making more and more tiered cakes for birthday celebrations. Tall cakes are not just for weddings. 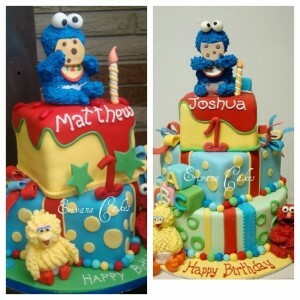 Cakes with several levels or tiers are becoming more popular, at least with me. 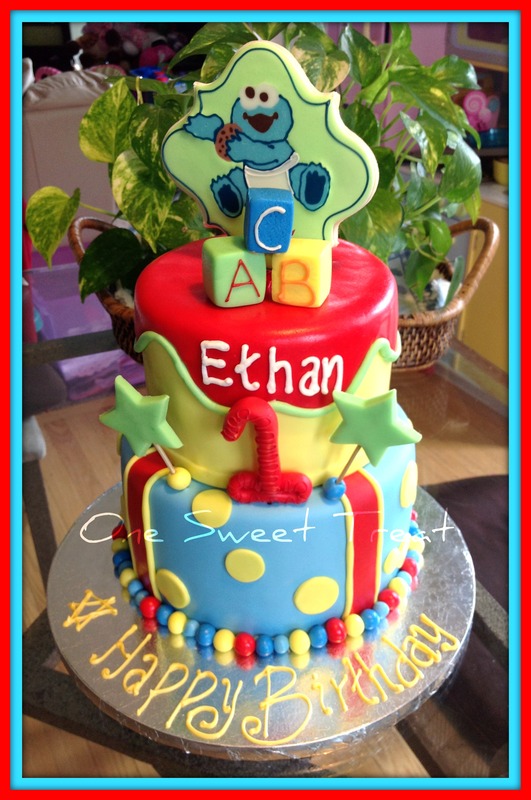 I had a previous customer requesting a tiered cake to celebrate her son’s 1st birthday. Here’s a couple of designs that she liked. I do welcome other cake decorator’s designs *. 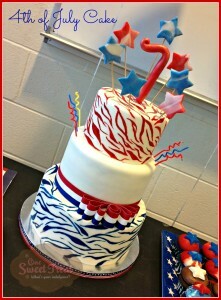 With those designs in mind, I created the following cake. 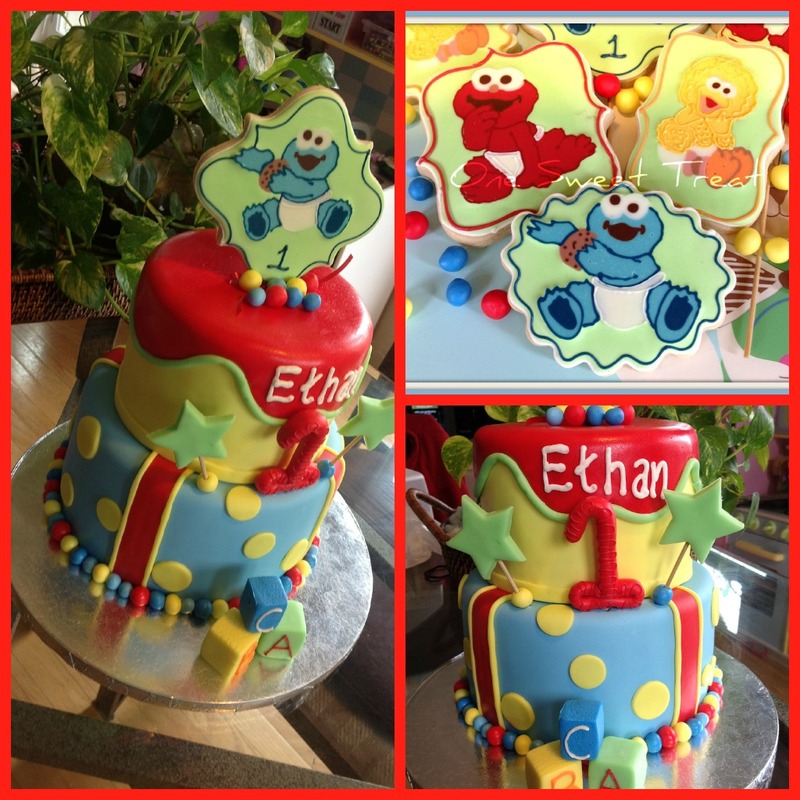 The cake is covered and decorated in fondant. 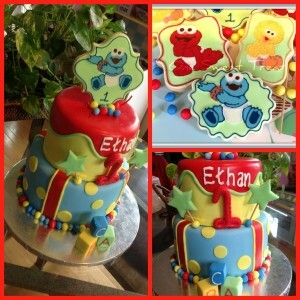 My client is a fan of chocolate delight cake with raspberry filling so the those were the flavors of the entire cake. The cake topper is a cookie and it features baby Cookie Monster. 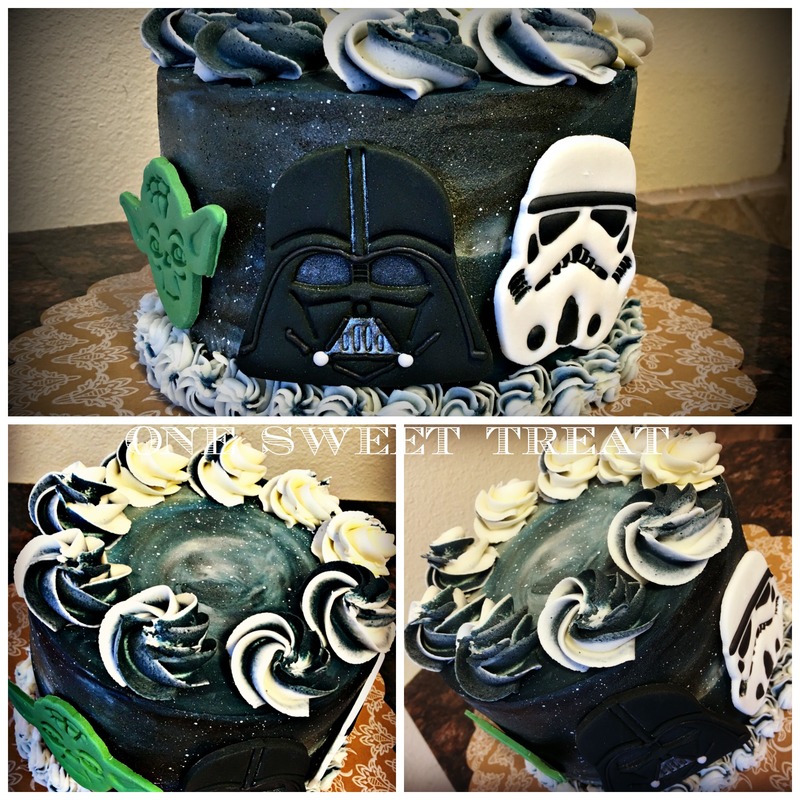 This cake is very popular in my Pinterest site. 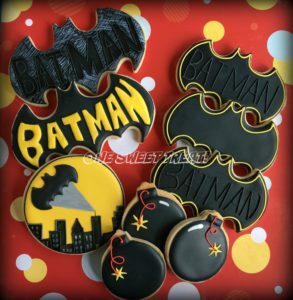 Here are some of the other cookies that we made for the the birthday boy. 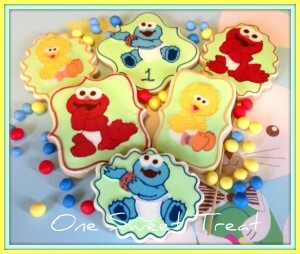 The cookies are sugar cookies covered with royal icing and the baby sesame street are made out of chocolate. 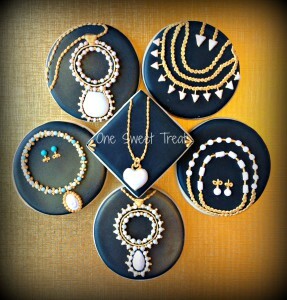 Whether it is two or more levels/tiers, consider a tiered cake for your next event or celebration. 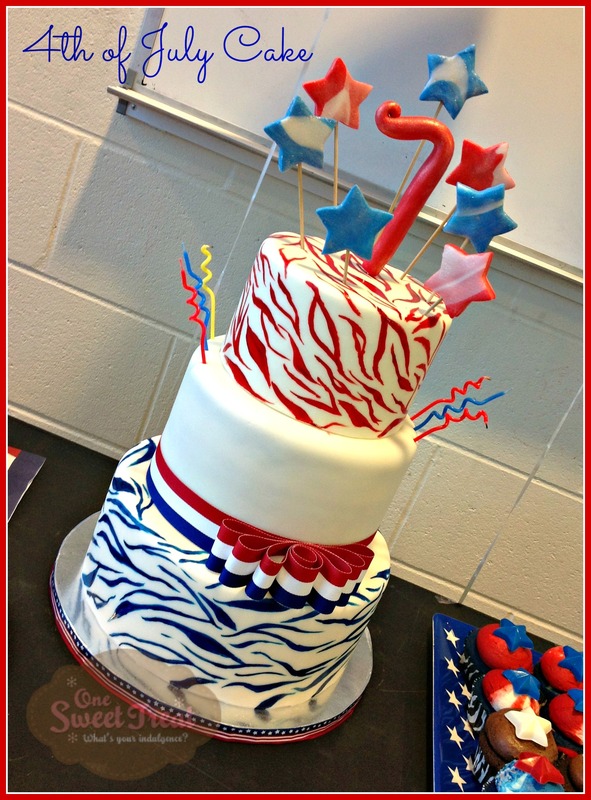 Tall cakes are eye catching and will make your celebration one to remember. * Pictures of other cakes are always welcome by the way. 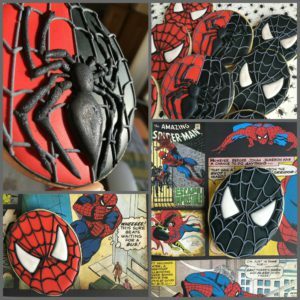 I will not replicate the cake (because I wouldn’t want other cake decorator doing the same to me) but I will definitely take some of the design ideas and incorporate them into your own cake. 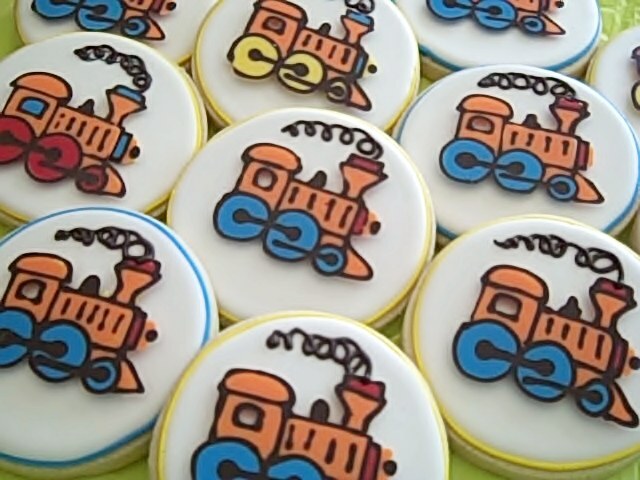 I had the pleasure of helping a friend with her daughter’s 2nd birthday treats. She wanted some Dora the Explorer decorations and what could be simple, cute and screams Dora? 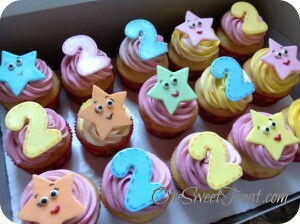 STARS!! Every cartoon episode of Dora the Explorer will have these stars… they are everywhere! 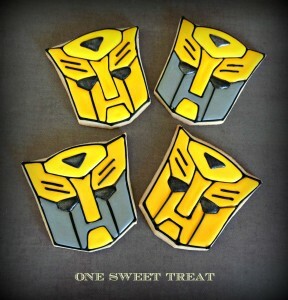 So we decided to turn them into cupcakes toppers. I also have a surprise for you!!! I decided to turn this into my very first tutorial for you. 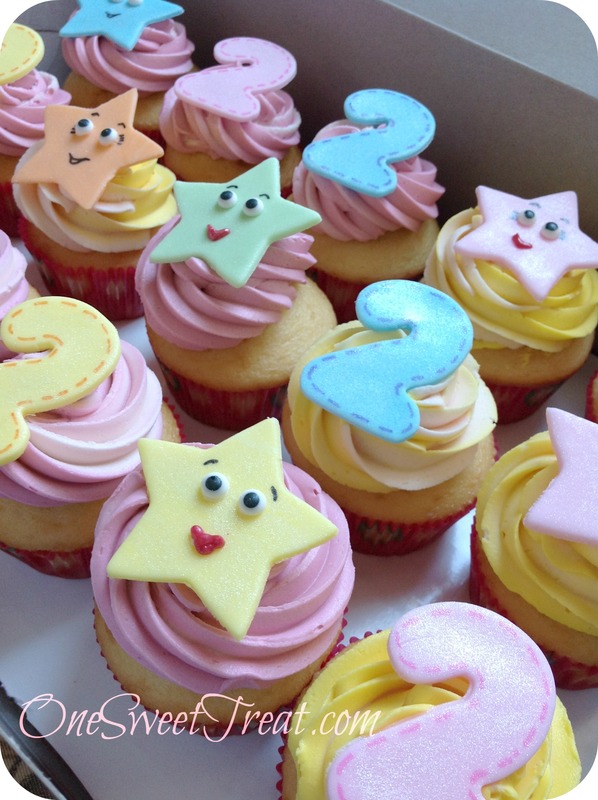 So now you can learn how to make Dora the Explorer cupcake toppers also. Enjoy! I rolled some Fondant on a non stick mat. I got my non stick mats from Costco, but you can find them anywhere. 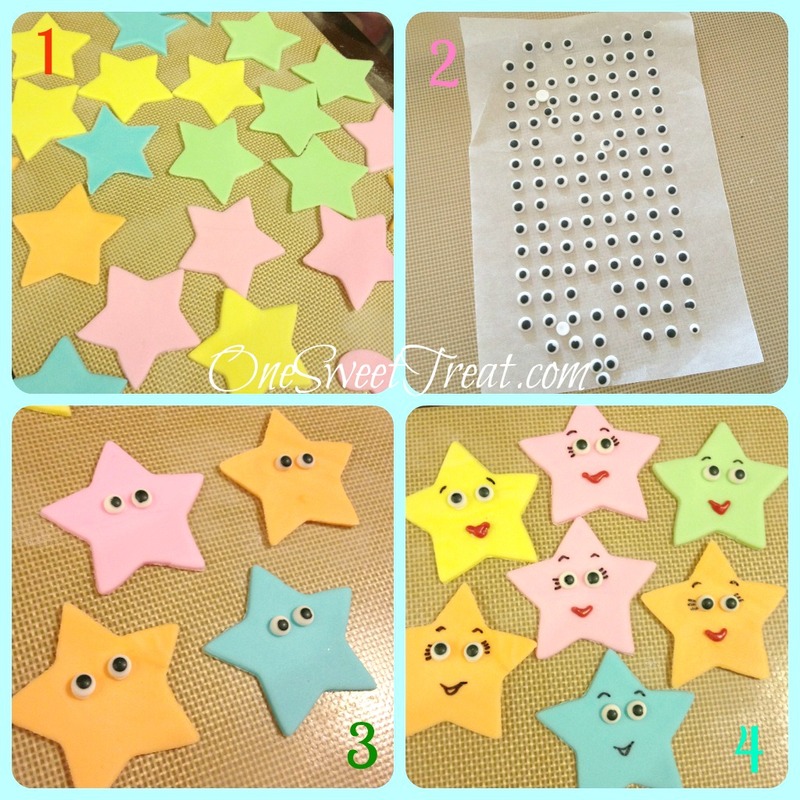 Using a star cookie cutter of any size, cut as many stars as you need. A long time ago, I purchased a sheet of candy or icing ‘eyes’. 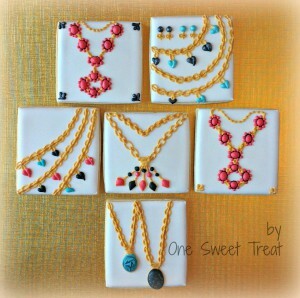 I will not do that again because they are very easy to make. 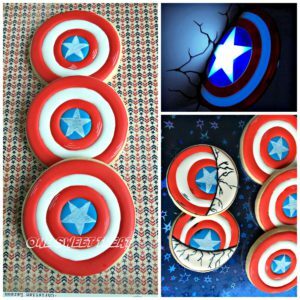 I will post how to make them later. 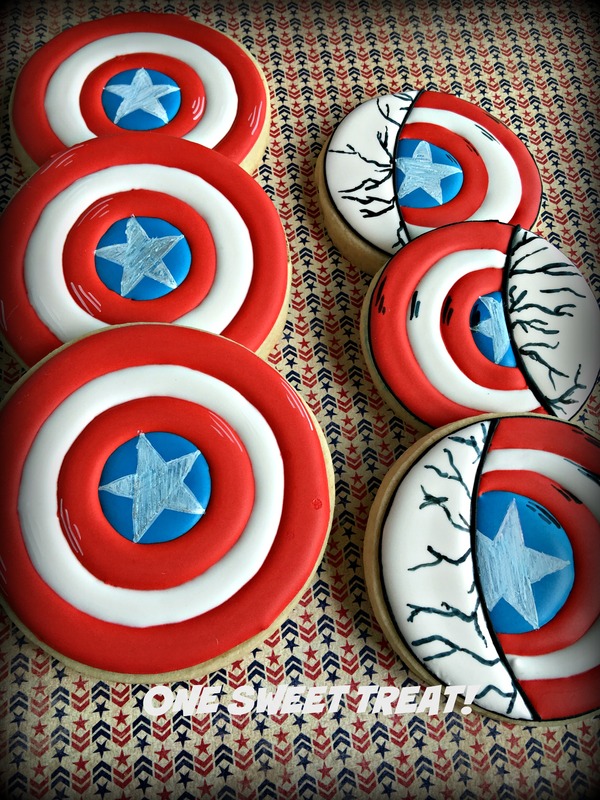 Icing eyes are very helpful in decorating cookies, cupcakes and cakes. You can find any type of candy eyes here. 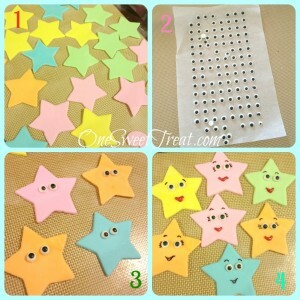 Paste the candy eyes on the star. Place the eyes just above the middle of the star. 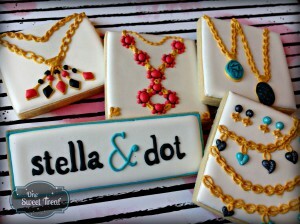 You can use Royal Icing or Chocolate. I don’t really know if a tiny bit of water would work, but I would give it a try. Using a food marker you can draw the mouth, eyelashes, eyebrows. 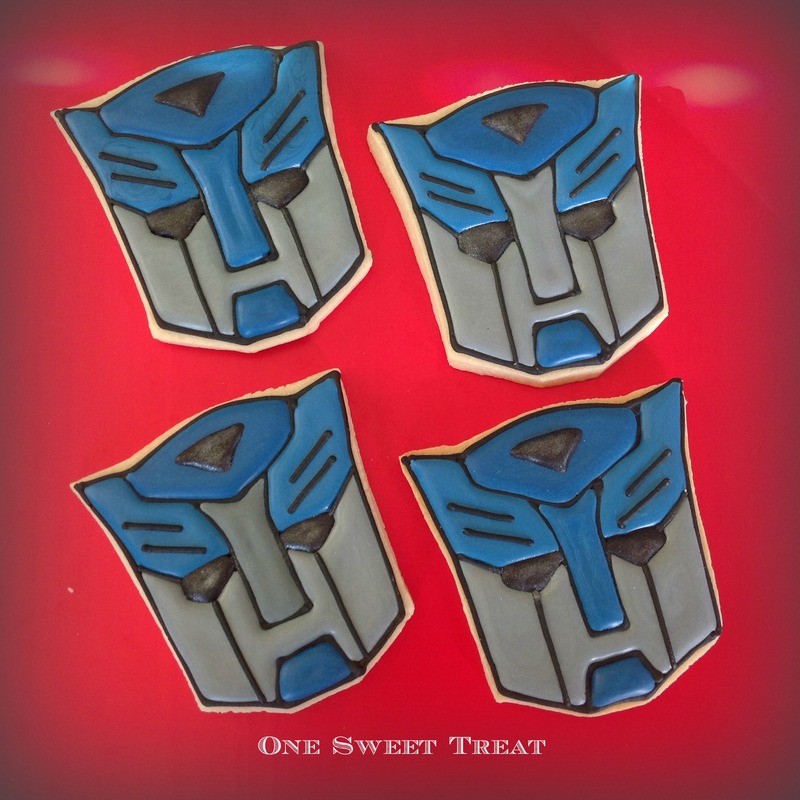 I actually used a little bit of melted chocolate to make the mouth, but a red food marker will work perfectly. Here are the finished cupcakes. 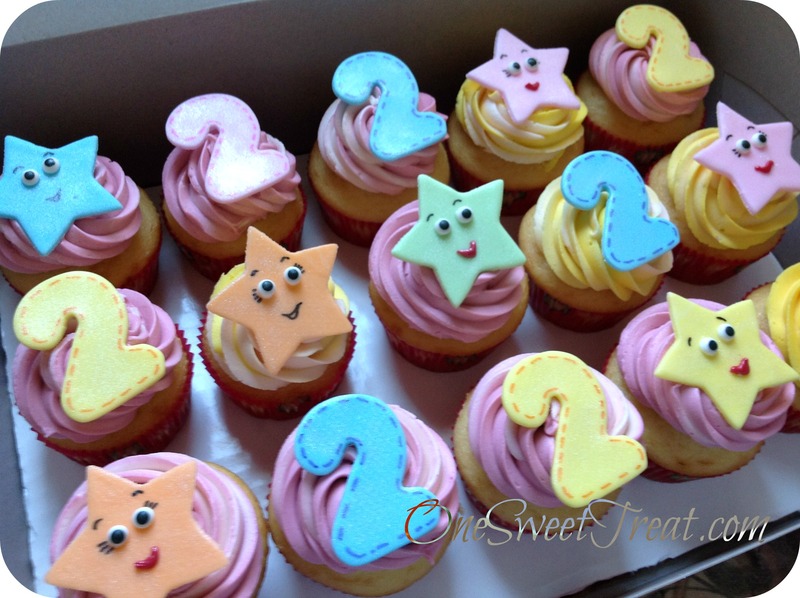 In addition to the stars, I made some number 2s for her second birthday. The cupcakes were vanilla cupcakes with our sweet american buttercream. Well there you go! I hope you enjoyed this post and that it was simple and clear. 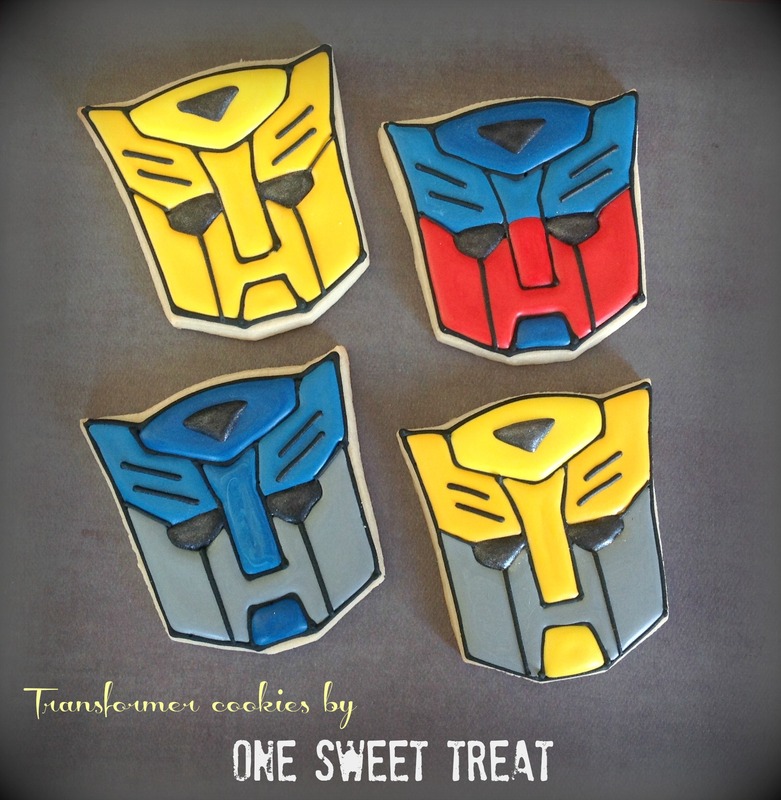 I’m very excited that I finally got to publish my very first tutorial. 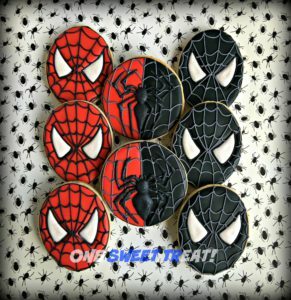 I know you may have questions like what is Royal Icing or what fondant is. I will try my best to have this in my site as soon as I can. 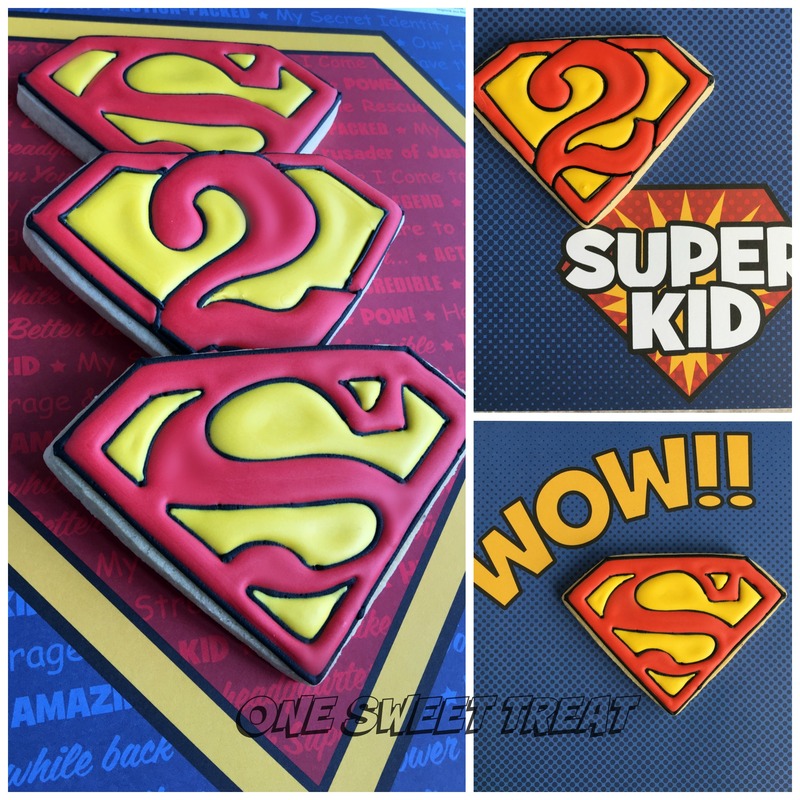 I have more of everything coming up…. All I need is time! It has been ignored and totally abandoned. I still love it, but I have to be honest with my dear blog, I am cheating on it. 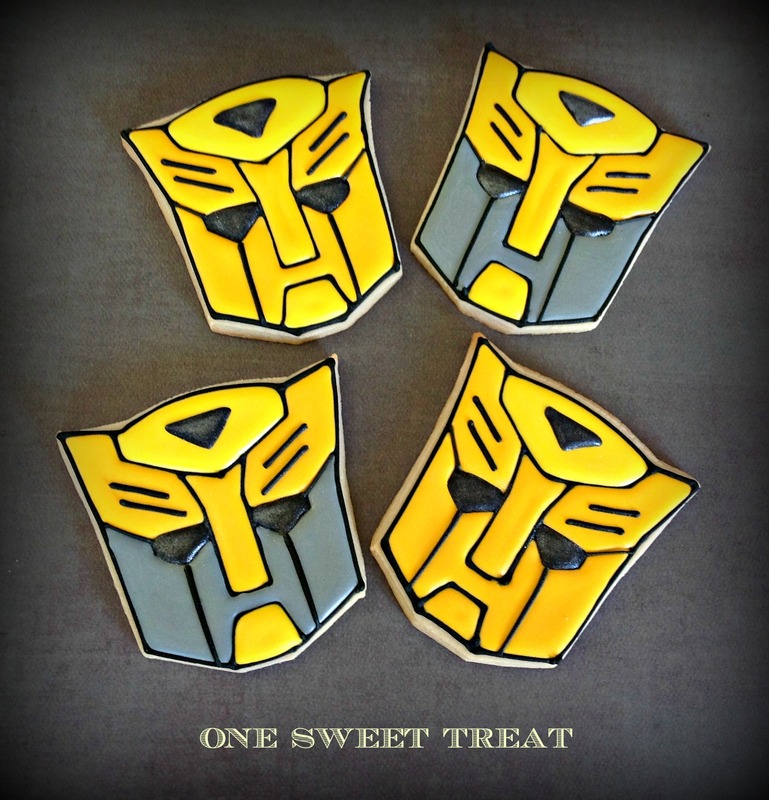 Yes… I’m cheating on my blog. I have been busy trying to handle Facebook, Pinterest, Flickr and some other ones that I can’t even remember. Oh yeah, there’s Twitter too! I can’t do it!!! I don’t have enough time!!! You see, when I post on this blog I have to edit each and every picture and think about what I have to say. I have to think!!! I am so tired at the end of the day, I can’t event think. I have three drafts waiting for me to finish and so many other projects waiting to be posted that I haven’t even started yet. If you are following me in anyway, here’s the scoop. The fastest way for me to publish my work is through FLICKR. I would say this is my favorite. Even though I still can’t figure out Facebook, you can find me there also. Pinterest is my latest addition. I’m still trying to work on that… very slowly, so be patient. I’m also using Twitter… I think. Anyway, please have patience with me. Sooner or later, my dear blog WILL be updated. Oh! You can see my latest pictures on the left side of the blog/site. That’s easy for me to do and I update it quickly. 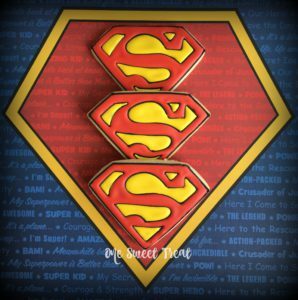 Be back soon… promise! I have so much to show you!